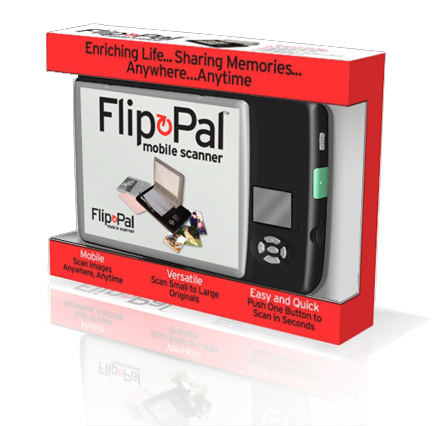 Scan, Restore, Record, and Share with this affordable Value Pack. Priced $35 less than if the items were purchased separately. 4GB SD memory card, USB adapter, and batteries included in the box. Toolbox software with EasyStitch and StoryScans talking images software on SD card. 1 year warranty and 30-day money-back guarantee. The RESTORE software is fast and easy, with 1-click improvement to images. Fine-tune with easy-to-use sliders. For Windows or Mac OS X computers. 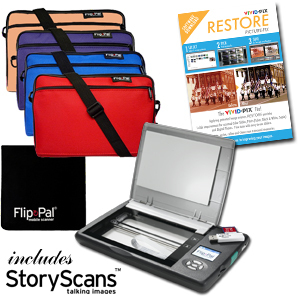 Protects your scanner from wear and tear. The front pocket keeps you organized while you are on the move.